S. Z. Sakall, born 135 years ago today in Budapest, Hungary, didn’t enjoy a terribly long career in Hollywood—he emigrated to the US in 1940 and died in 1955—but it was a memorable one. He remains beloved by movie buffs everywhere. 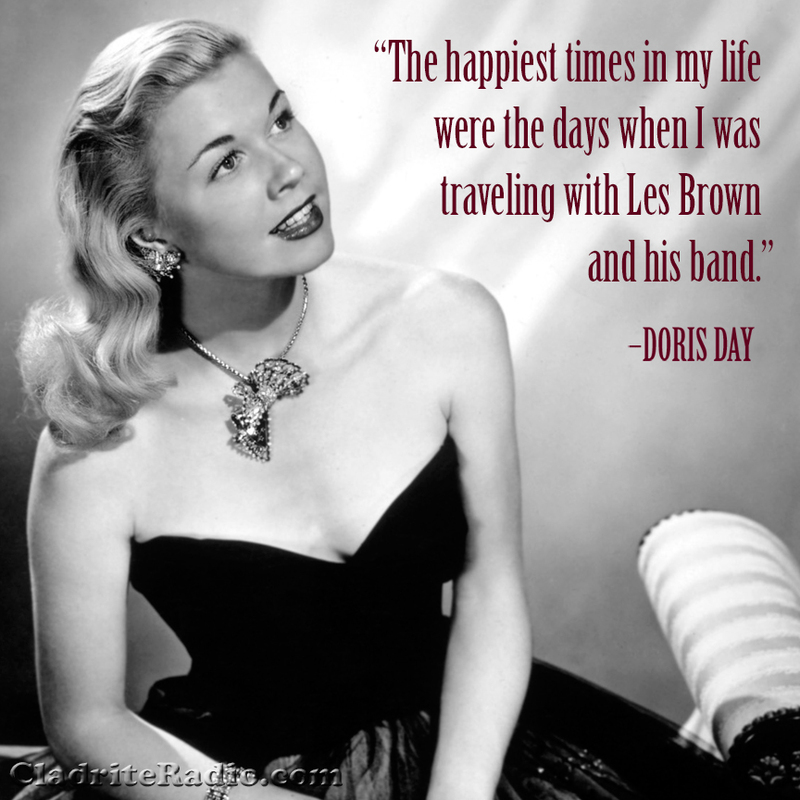 Happy birthday to Doris Day, born Doris Mary Ann Kappelhoff in Cincinnati, Ohio, 92 years ago (or perhaps 94 years ago—there seems to be some debate about her actual age, but she claims 1924 as her birth year, and we would never question a lady on such matters). 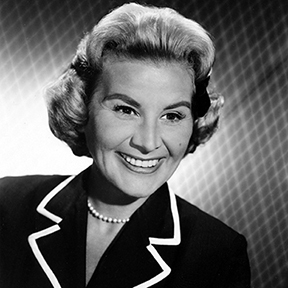 We at Cladrite Radio naturally think of her first as a songstress who did some wonderful work in the 1940s with Les Brown and His Orchestra, but of course, she went on to great success as an actress in motion pictures and on television. In fact, she was ranked the biggest box-office star in the country four different times (1960, 1962, 1963 and 1964) and ranked in the top 10 ten times (1951–52 and 1959–66). Happy birthday, Ms. Day! May you celebrate the occasion surrounded by the furry friends you love so much. 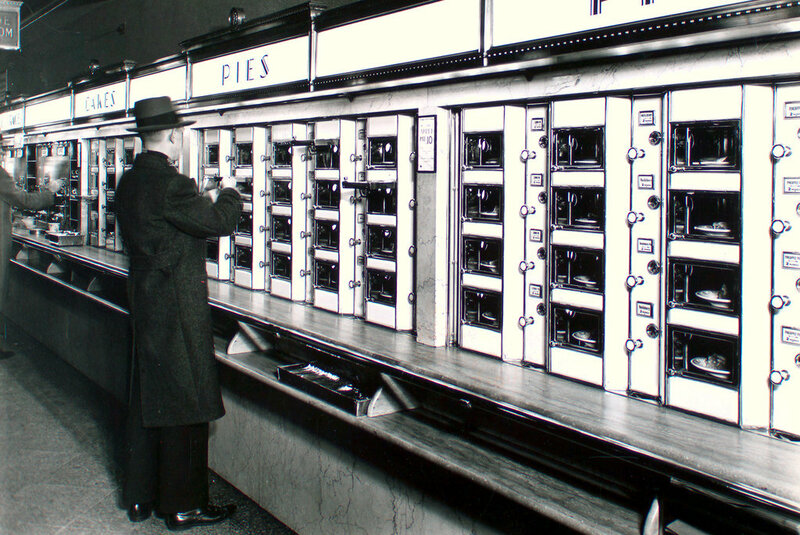 We are fascinated by Automats, those self-serve restaurants that asked diners to drop nickels in slots in order to raise one of dozens of small glass doors to access a serving a meatloaf or apple pie. 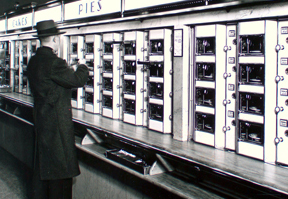 Horn and Hardart opened the United States’ first Automat in Philadelphia in 1902, but they are mostly closely associated with New York City, where they thrived for decades before dying off in the 1980s and early ’90s. There were only a handful remaining when we arrived in the Big Apple in 1982, and we just made it to the last one before it closed in 1991. But the Automat lives on in old (and not-so-old) movies, and we’ve devoted a playlist on the Cladrite Radio Youtube channel to scenes depicting these grand old eateries. The most recent addition, from a 1925 silent called The Early Bird, can be viewed below, but if you wish to see full playlist of a dozen clips (and you do, take it from us), just follow this link. You’ll enjoy scenes featuring Joan Crawford, Ray Milland, Jean Arthur, Doris Day, Cary Grant, Debbie Reynolds, Sylvia Sidney, and many more.